Ever had bad experiences in Forex Trading? I had bad experiences in Forex Trading. 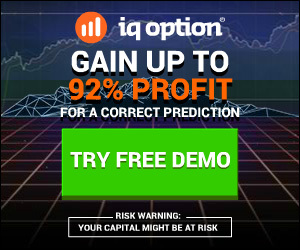 If it wasn’t for the bad experiences in messing up for the lack of a strategy, or ignorance, stupidly following low-quality signals, I probably wouldn’t have come to binary options. Doing well in binary, technically I didn’t even need to give forex a 3rd look. Watch the VLOG here. You might identify with a thing or two! But when ESMA put down their firm stance which placed many traders in Europe and UK out of their trade, I was forced to relook forex for those who want to keep trading… And discovered that my 5-6 experience in binary gave me a solid advantage to price action trading. I went on to make a few more discoveries…. – Forex isn’t necessarily “slow”. – The way most forex gurus teach trade management is absolute garbage. – My previous failings were from lack of understanding. P.s. Binary still goes on… Weekly webinars and telegram chat for my elite group. P.p.s. This week is kinda slow for Binary possibly due to the Assumption day holiday. Forex is moving well though! *To get FREE access to my forex coaching group, which includes weekly webinars, students forex Telegram group, all previous lessons and replays… Use either of these links with a deposit of $500 or more to qualify. …then, send a message to my page admin http://facebook.com/thebinarylabpage to claim your free membership!